Flying recreational drones is becoming increasingly more popular in the Philippines. 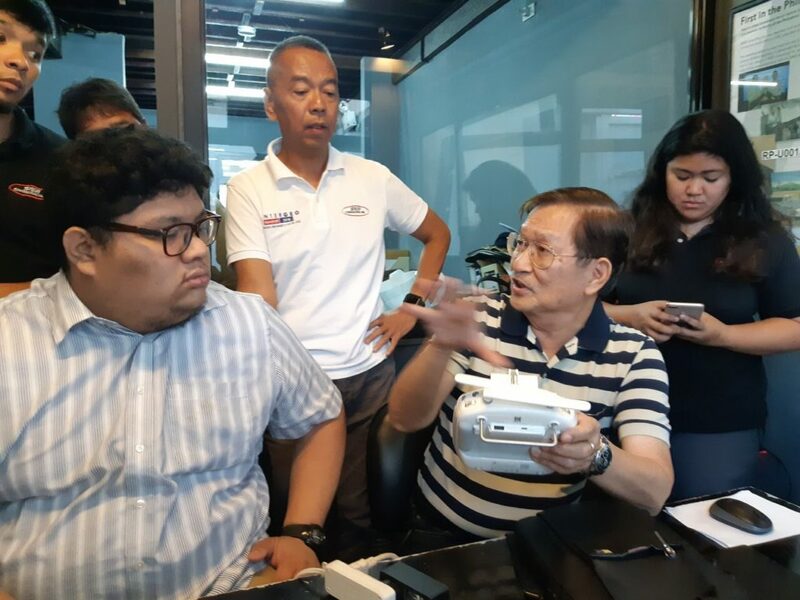 As part of its mandate to teach how to fly responsibly, Philippines Flying Labs organized a training last November 17, 2018, facilitated by their Coordinator, Engineer Joel Cruz and his staff from SRDP. Engineer Jore Montelibano, a UAV local expert was also present to moderate the discussion among the participants, composed mainly of representatives from the Bike Scouts, a Philippines Flying Labs’ partner, and members of the general public. The workshop took place at the SRDP Office Conference Room in Quezon City and was divided into three sections. The first part consisted of a lecture focused on the basic mechanics of drone flying, tailored to accommodate the participants’ various flying proficiencies. The session included an overview of our Drone Code of Conduct, Civil Aviation Authority of the Philippines (CAAP) Guidelines and drone applications for mapping. The second part of the workshop was a much-awaited hands-on experience: after learning the fundamentals, all of the attendees were able to fly DJI drones Phantom Pro and Advanced on their own and execute manoeuvres required by the CAAP for the qualification exam. The team travelled to an open area near Tumana Bridge in Marikina City to try basic controls. As the Bike Scouts team was already more adept in flying, their training focused on mapping specific areas using Pix4D software. Flight planning techniques were also part of the program to target areas with high elevations while maintaining the desired image overlaps. Lastly, a third session was dedicated to image processing, that is, using mapping software to produce high quality images. The participants went back to the SRDP office to process the acquired photos, producing a geo-rectified image, digital surface models and 3D data. The workshop empowered all participants with invaluable insights and notions to make them more confident with their flying skills, while improving the overall image value for Bike Scouts specifically for their disaster response operations in the field. 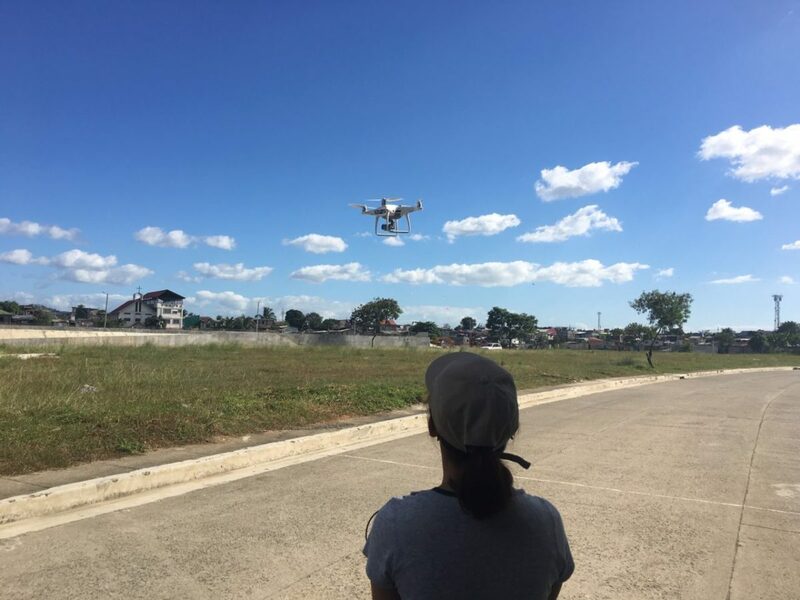 In view of the positive response, Philippines Flying Labs is planning to organize a new training targeting a wider audience to encourage more responsible drone flying in the country. Philippines Flyings Labs would like to thank their partners from SRDP and Engineers Montelibano for offering their expertise and facilitating a highly technical workshop for more advanced pilots and beginners alike.